Are you an incoming Freshman at UW-Madison and wondering how you’ll survive your first year of classes? If so, continue reading this blog for some helpful tips. 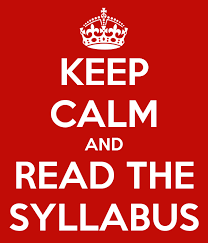 due dates for assignments and midterms/finals are usually on the syllabus you get on the first day of class. Double check the due date for homework, but ESPECIALLY for midterms and finals. Don’t be like me and miss your first final exam of college because you misread the date. Even though it’s called College Library, it sometimes feels more like a bar because of how loud it gets, and even more so during finals week. Bring headphones and music to drown out the distracting noise. This one might not be a traditional tip, but it is useful nonetheless. There are certain restaurants on campus (looking at QQ’s) that serve food of questionable quality. Avoid getting food poisoning and losing precious study time by cooking your own food. It’s probably healthier for you, plus you’ll learn a skill you can use for the rest of your life. Renting textbooks from a rental service like Chegg is usually cheaper than buying new books every semester. Remember to always return them at the end of the semester to avoid late fees, or it can expensive fast. Change It Up To Study It Up!